If your gums aren’t healthy, you’re not alone. Many adults currently have some form of gum disease, which is also called periodontal disease or periodontitis. The condition ranges from mild inflammation to severe infection. Gingivitis is the name given to the mildest form of the disease. At this stage, the inflammation is often reversible. If it progresses to periodontitis, pockets of infection form between your gums and teeth. Without aggressive dental care treatment, the disease spreads into connective tissues and supporting bone structures, and you may lose your teeth. Bacteria-laden dental plaque builds up on the surfaces of teeth and causes infection of gum tissue. Brushing and flossing regularly helps to remove plaque. Ultimately, the most common cause of gum disease is poor oral hygiene. Lack of access to dental care or an affordable dentist may also be a factor. 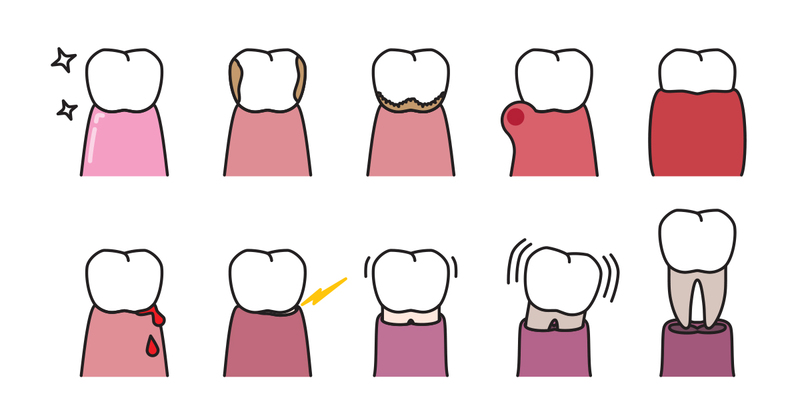 Some diseases, such as immune disorders and diabetes, may predispose you to gum disease. It is also common in pregnancy and in people taking certain medications. If you experience any of the following symptoms of periodontal disease, see an affordable dentist for treatment as soon as possible.